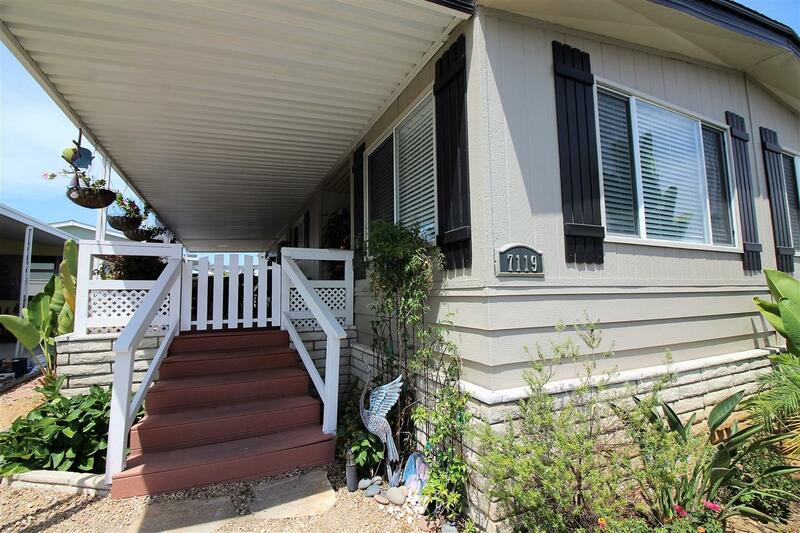 Beautifully remodeled 2 bedroom, 2 bath home located in Lakeshore Gardens, which is one of the most desirable 55+ active communities in So. Cal. Located close to the beach, shopping and more! Come see the best of beach life. Peaceful yard, relaxing deck and great view of grass area with the lowest land lease prices in Lakeshore Gardens. No property taxes. 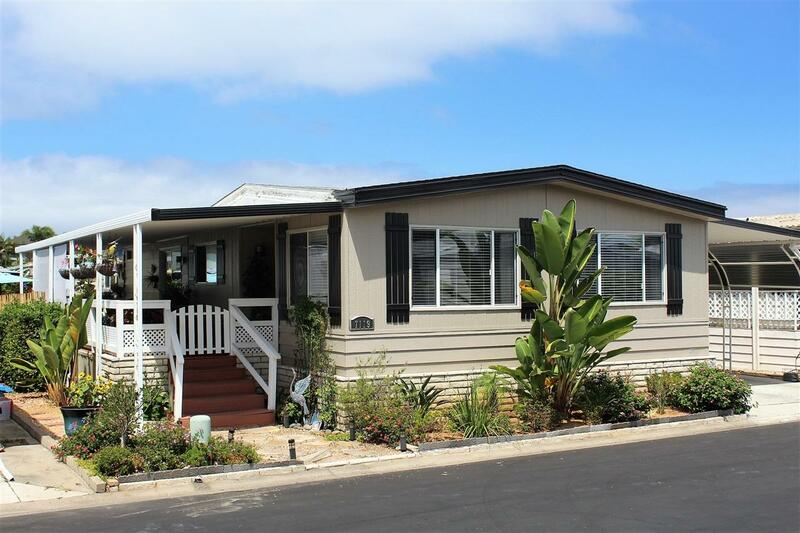 Lakeshore Gardens is an active 55+, luxury manufactured home community located in Carlsbad, not far from the beach The park is located on 54 acres of land, has 384 home sites, & 10 small lakes. There is lush landscaping, greenbelts & mature trees throughout, giving the community a park-like feel. 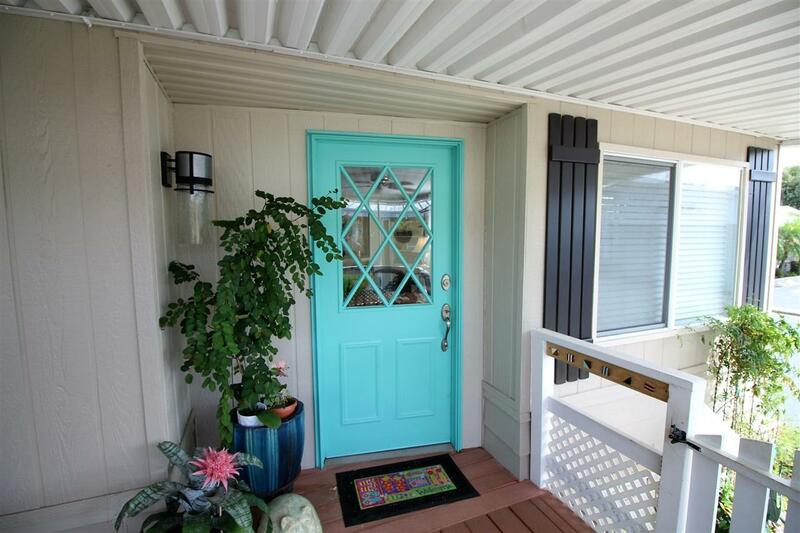 Extensive water fowl call this home, including gray herons, egrets, ducks, cormorants & more. The ponds are home to turtles & many fish. Nature lovers have the best of all worlds here! The approximate 14,000 sq. ft, 2 story club house was beautifully & tastefully updated just a few years ago, giving it a high end country club feel. The upper level houses the offices, lobby, card room with fireplace, billiard room & a beautiful balcony to enjoy ocean views. The lower level houses a fabulous & well stocked library, recreation room with a stage, commercial grade kitchen, ceramics room & restrooms. A large patio with fountain, fire pit, & outdoor fireplace adjoins the community room, which is used for many events. There is a pool & spa on the property heated year-round. In addition there are saunas, a recently opened gym & ping pong table facility, RV parking & more. The entire park is enclosed with a block wall, security gates & a telephone entry system. The laundry building contains coin-operated washers & dryers for times when you have multiple loads or oversize items. There are many activities in the community, almost daily, so residents can find friendship & companionship while attending events they enjoy. Activities include card games, bingo, monthly breakfasts, weekly potlucks, craft groups, golf groups, ladies luncheons & much more! You can be as active as you choose, right here at Lakeshore Gardens! Listing provided courtesy of Harmony Realty Inc. Listing information © 2019 San Diego MLS, Inc.